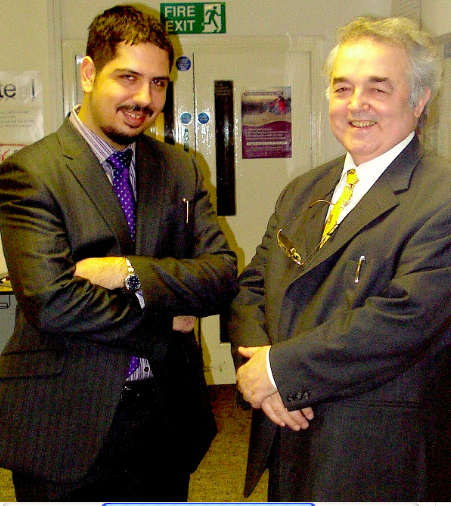 Ian Angell (right), is Professor at the London School of Economics. Angell’s first degree is in Pure Mathematics, and his Doctorate is in Algebraic Number Theory, although he now claims to be an “ex-mathematician.” He first came to prominence through his work in computer graphics, and apart from his academic output has written the software and produced animation sequences for television advertisements and for science and business programmes. He has written more than 10 books, including the ‘New Barbarian Manifesto’ and the upcoming ‘Flight of the Golden Geese‘. Dionysios Demetis (left), is an associate staff member at the LSE’s Information Systems and Innovation Group and a Research Fellow and member of the Scientific Board of the Geolab Institute of the Ionian University in Corfu where he will be delivering a series of talks on the Philosophy of Science and Methodology. He has a background in Physics – his first academic love. As a now ex-phycisist he thinks back on the first time he heard the word ‘epistemology’ with affection. In his spare time he composes music and has also composed the Anthem for the International Society for the Advanced Study of Spacetime. He has also written extensively on the field of Economic Crime and Anti-Money Laundering and his book on ‘Technology and Anti-Money Laundering‘ is published by Edward Elgar. He holds an MSc and a PhD from the LSE.